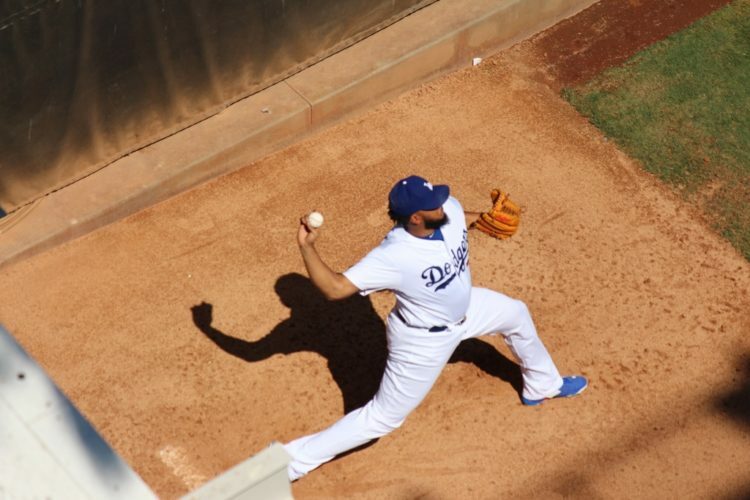 It seems like I write every year about the Dodgers’ bullpen. Folks don’t have a ton of confidence in the lot, but once again, they are among baseball’s very best relief corps. 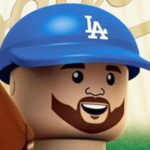 Sure, a lot of that is thanks to Kenley Jansen and his dominance, but the Dodgers have assembled a solid crew. The Dodgers’ relievers have been incredible this season. As you can see, the numbers don’t lie. The Dodgers’ bullpen leads MLB in ERA, K-BB% and wOBA — two of which are the most important metrics to measure a pitcher/pitching staff. It is second in FIP and, despite a league-high fly ball rate, are allowing the 9th-fewest home runs per fly ball. That’s pretty remarkable because Dave Roberts doesn’t have much in the way of a ground-ball specialist at his disposal. I wrote back in December about the need for a ground-ball guy. I identified Ross Stripling as a possible answer to the issue. Stripling has fared well in the bullpen, but he hasn’t been the ground-ball pitcher they’ve been missing. He has a 47.5 percent rate this season — second on the team (minimum 10 IP) to Avilan (50 percent). Instead of getting a ground ball specialist, they got guys who miss bats. Strikeouts are, obviously, better than grounders, but they are also more taxing on pitchers and aren’t as easy to get. Back to the table for a second: The most significant number might be the innings pitched. The bullpen has thrown just the 17th-most (or 13th-fewest) innings in baseball. Through 129 games last season, the Dodgers’ bullpen led the league in innings pitched at 460 2/3. That’s 26 1/3 innings difference. Another way to look at it is they’ve had to get 79 fewer outs this season (almost three game’s worth). It adds up over the course of a season. Some have been concerned about the bullpen “struggles” of late, but it really hasn’t been struggling all that much. In the last 30 days, they have a collective 4.03 FIP. That’s not great, but it’s still the 11th-lowest in baseball over that time period. It’s more of bad stretch than anything indicative of future performance. The relievers have been great this season, and minimizing what they’ve done down to the most recent month is quite short-sighted. I have my issues with Pedro Baez, and Josh Fields has been a bit home-run prone this season, but there is a lot of talent outside of Jansen. Brandon Morrow has been a breath of fresh air this season, while the aforementioned Avilan and Stripling have been solid. Throw in potential September performers Walker Buehler, Wilmer Font, Edward Paredes and Brock Stewart, and there’s even more arm talent the Dodgers could have available for October. You might be able to add Alex Wood to that list, but we’ll wait for a few weeks before going down that road. Once again, there’s no surefire way to build a bullpen. Throwing money at the situation doesn’t always work. Converting starters doesn’t always work. Picking up players off the proverbial scrap heap doesn’t always work. Unless you’re the 2015 Royals, not many teams have been super successful building dominant bullpens for long periods of time. This is the second year in a row the Dodgers’ bullpen has been one of the league’s best. With the resources, coaching, development and scouting in place, it could easily continue and become the gold standard. Or, everything could completely fall apart next season, because bullpens are the most volatile elements of a baseball team. 50/50 chance. One thing’s for sure: The Dodgers have a championship-caliber bullpen, which looks even better with the rest of a championship-caliber team.